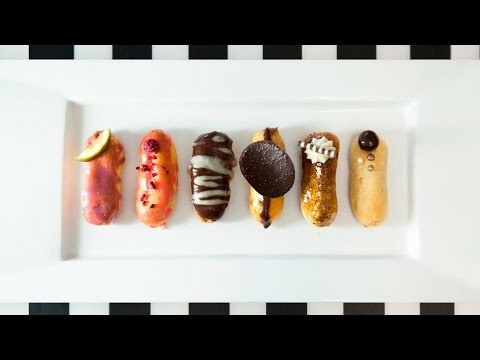 These mini eclairs are just heavenly!! With 6 different flavors to choose from, you can't go wrong. Pick between cappuccino, tiramisu, dark chocolate orange, fig, raspberry, and banana!! YUM!! Be sure to SUBSCRIBE! IT'S FREE!